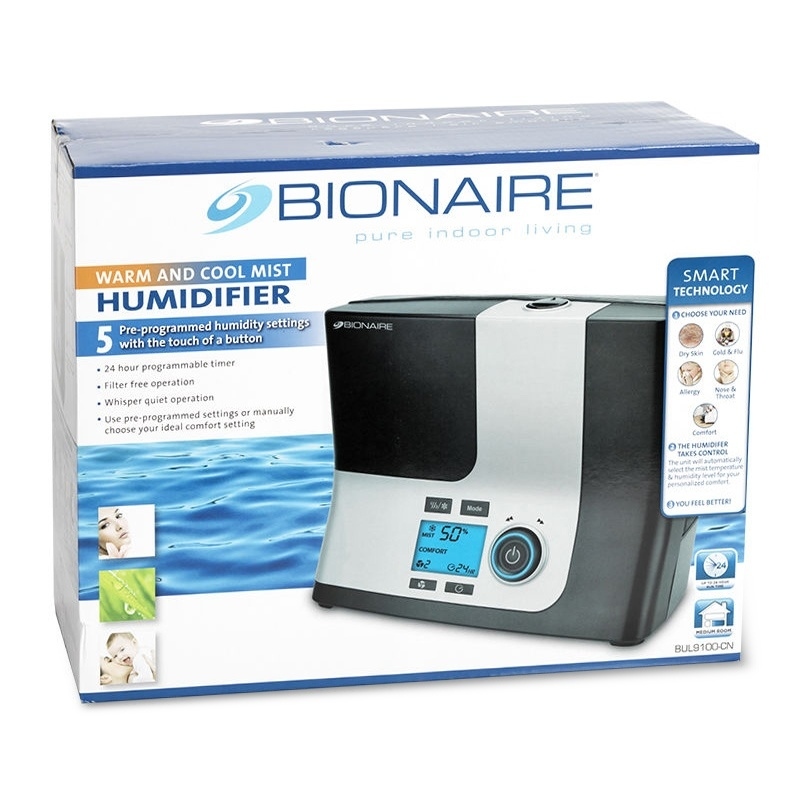 Bionaire BUL9100 Warm / Cool Mist Ultrasonic Digital Humidifier. Bionaire BUL9100 humidifier is a Filter-Free Humidifier. 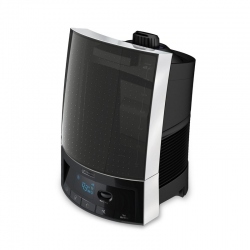 Offers a choice of both warm and cool mist humidity options. 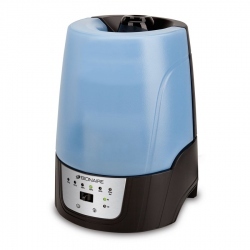 BUL9100 employs Ultra Quiet Ultrasonic humidifier technology. Allergy / Cold & Flu / Comfort / Dry Skin / Nose & Throat. Digital Controls with Multi-functional LCD Display. Comfort Dial Knob control with Power On/Off Push button. Dial lights up Red (warm mist) or Blue (cool mist) for easy reference. Tank Empty Refill Indicator on LCD display. 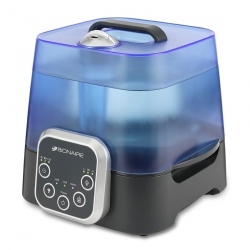 Programmable Shut-Off Timer (8 hr / 12 hr / 16 hr / 24 hr). Illuminated LCD Display provides comfort Night light. 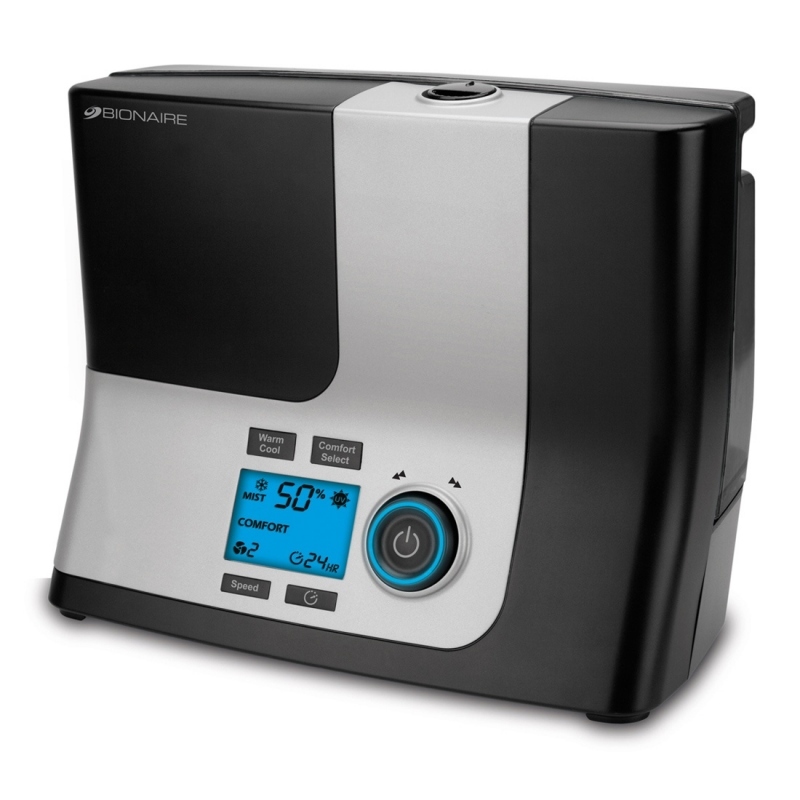 Programmable Digital humidistat maintains precise humidity level automatically. 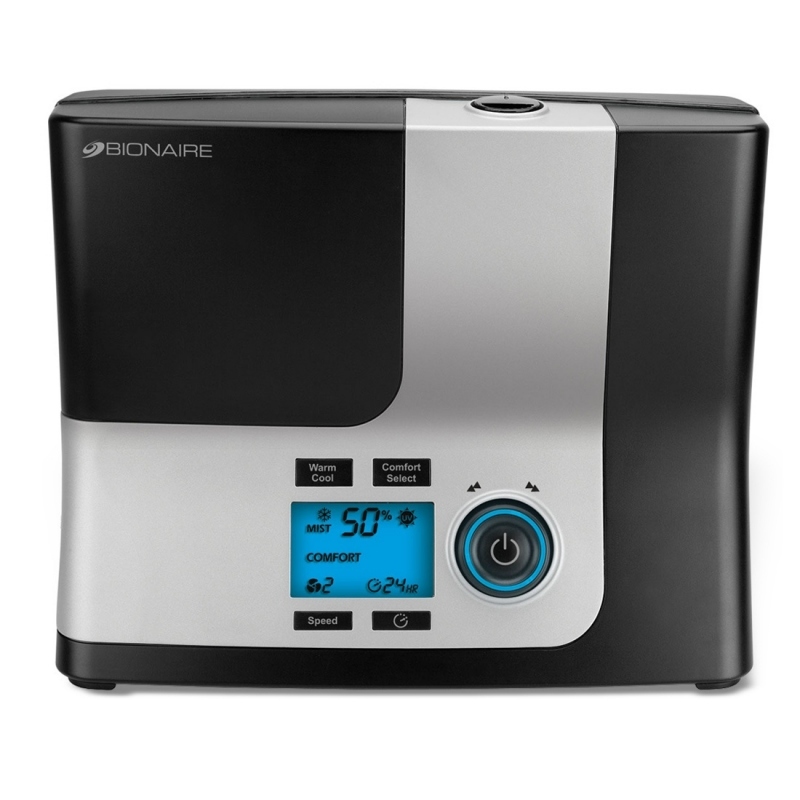 Operating humidity range 35% - 60% with 5% increment. Water Tank Capacity - 0.78 Gallons (2.95 L).